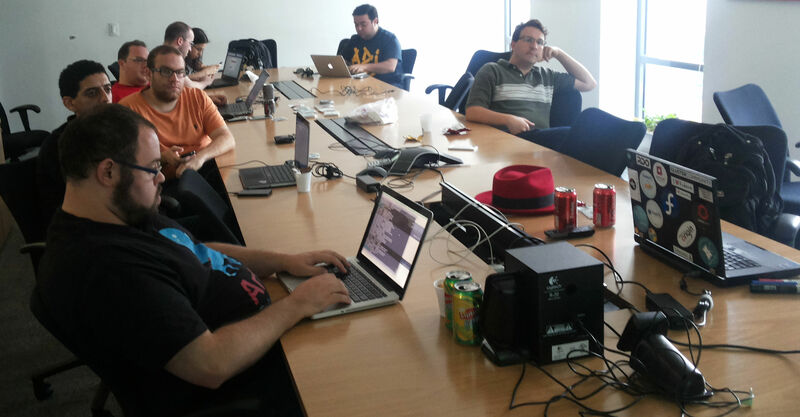 Few weeks ago I attended the Fedora 20 release party at São Paulo Red Hat offices. It was nice to hang together with other Fedora enthusiasts, get a refresh about newest Fedora features and also share my experiences as (I considere myself) a power user. Leo Couto, the Red Hat ambassador for Fedora in Brazil and event organizer, surfaced new features as B-tree file system, LVM, KVM and virtualization, Gnome, Wayland etc. He was actually having a hard time following a sequence because the meeting was very interactive and people — especially me — were hammering Leo with questions all the time. That was fun anyway. The Fedora Linux distribution is the playground were the most innovative advancements in computer operating system research happen. And is also the first place were non-developers can get access to these innovations. Its healthy lack of commercial commitment is extremely important to let these innovations flow into users’ hands as soon as possible. I wish to thank all the hard work of the Fedora and general Open Source community for the high quality “products” they are delivering nowadays. I know it was not like this in the past. Open Source is making history, will have a great future but is already super relevant and critical in 2014.